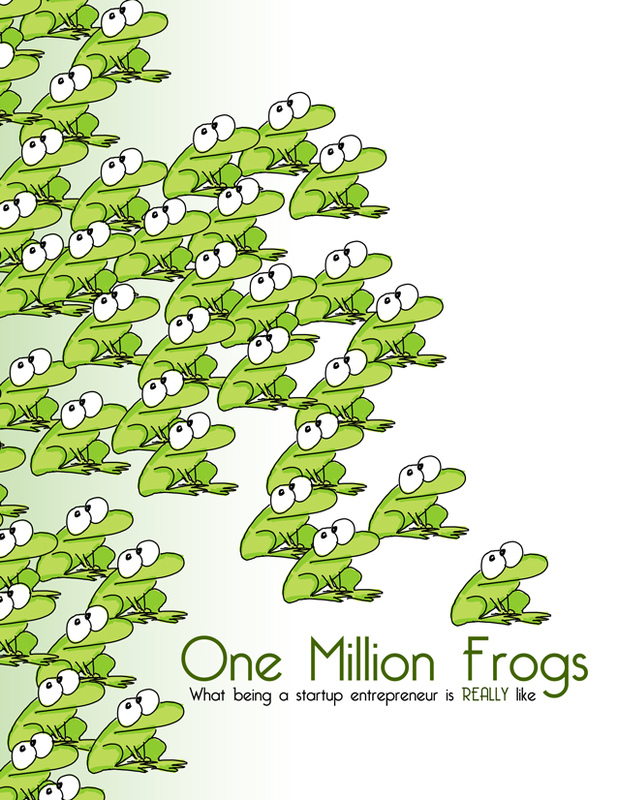 Successful “frog entrepreneurs” RhettPower’s and Peter Gasca’s new Kickstarter crowd-funding campaign aims to raise funds for their new book titled, One Million Frogs. The book is an entertaining twist on start-up entrepreneurialism as it chronicles the challenging and often comical journey and personal transformations of two businessmen and one very unlikely frog company. The campaign needs to raise $15,000 by June 12, 2013, in order to fund publication of the book and the employment of an editor. After the book is published, many of the proceeds will go to promote entrepreneurship in youth. After meeting as business and economic development consultants overseas, Power and Gasca discovered that they shared a passion for entrepreneurship. In the summer of 2005, at a pizza shop in Almaty, Kazakhstan, the two began hatching a plan to start their own business. After several failed attempts at getting started, the two were introduced to a small business that assembled and sold miniature desktop ecosystems with frogs. The business showed great promise but had tremendous distribution challenges. “It was the atypical business school case study, but we were ready for the challenge,” said Power. The pair started their company, Wild Creations, and purchased the business concept. With an extensive business plan and strategy for growth, Wild Creations, was to be the first of many successful businesses in their promising portfolio. But when Lehman Brothers filed bankruptcy and the financial industry collapsed, Wild Creations’ lines of credit dried up. Power and Gasca persevered and took to the roads, driving over a hundred thousand miles each, to attend trade shows for one year. Fast forward eight years. Wild Creations’ EcoAquariums™ has grown from a modest 50 retail outlets to more than 1,500 stores. Frog sales are still strong, but even more impressive - many of Wild Creations’ products are invented by kids. The company has won numerous industry awards, including a nomination as Toy Industry Association Toy of the Year. Wild Creations was recognized by the South Carolina Chamber of Commerce as the #1 fastest growing company in South Carolina, and by the Inc 500 twice as one of the fastest growing private companies in America. Pledging to the campaign secures a pre-order of the book, in addition to other perks that coincide with varying pledge levels. For example, a $10.00 pledge will get backers an electronic copy of the book, while a $200.00 pledge receives an electronic version of the book, two signed hardcopies with handwritten messages from the authors, a shout out to the backer on the dedication page, a t-shirt, a personal phone call from the authors, and the best part: a Tootsie Roll. Backers can pledge $5,000.00 or more, and will receive perks including a two-day business coaching class put on by the authors and home entertainment by Power and Gasca, who promise to bring their Southern charm, entertainment and “frosty beverages” along to the backer’s personalized get-together. And with all KickStarter campaigns, there is no risk to anyone who pledges if the funding goal is not met as they will not be charged their backing amount. With chapter titles such as, “My Hair is on Fire”, “Swimming with the Sharks,” and “Dead Body Removal,” One Million Frogs is sure to be an entertaining read. The team also hopes that the book can be shared by parents and mentors with teen and kid entrepreneurs, looking to start businesses at a young age. For more information, or to make a pledge to the Kickstarter campaign, please visit http://www.kickstarter.com/projects/2129986596/one-million-frogs?ref=search. Wild Creations was founded in 2005 by Rhett Powers and Peter Gasca when they realized that they shared a passion for entrepreneurialism. The company weathered the greatest economic recession of our time and has recently won numerous industry awards, including a nomination as Toy Industry Association Toy of the Year. Wild Creations was recognized by the South Carolina Chamber of Commerce as the #1 fastest growing company in South Carolina, and by the Inc500 twice, as one of the fastest growing private companies in America. The company is known for the sale of over one million frog EcoAquariums™, and also sells products created by kid inventors. 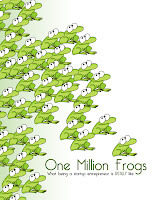 They hope to raise funds to sell their tell-all business book, One Million Frogs, to support anyone with dreams to achieve something bigger in life, who feel held back by uncertainty or societal peer pressures. They hope to use proceeds from the book to promote entrepreneurship in youth. What The Heck is Crowdfunding?